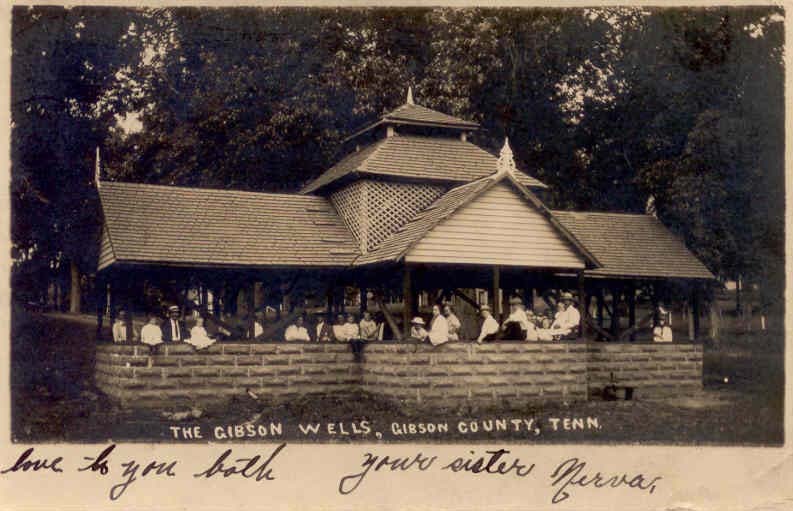 Here's a short history about the Gibson Wells community and the mineral wells, located just a few miles from Humboldt. 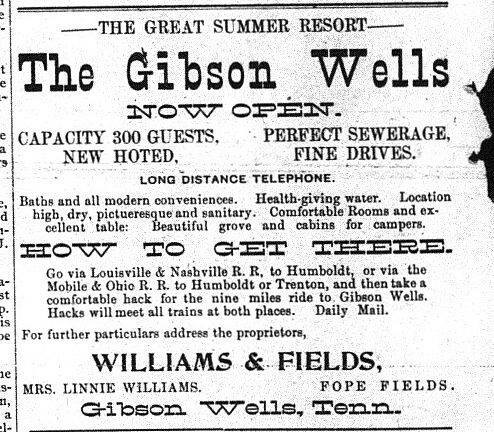 "Gibson Wells, situated in the southwest portion of the county, constitutes a summer resort of considerable note. They were discovered in 1843, by a Mr. Blaine. Two or three years later they were sold to Norman and Calvin Cherry, who in 1849 provided accommodation for 200 boarders. After changing hands several times the buildings were burned, in 1875. They have since been rebuilt, however, and are now annually visited by a large number of people." This is an ad for Gibson Wells from August of 1902.